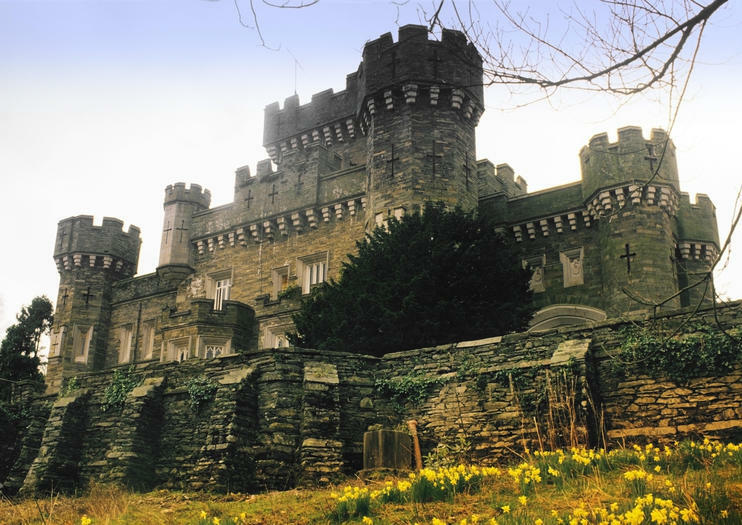 One of the most-beloved castles in the United Kingdom and one of the finest examples of Victorian neo-Gothic architecture (some would use the term “mock Gothic”), Wray Castle is an important stop on any Lake District itinerary. Built along the shoreline of Windermere lake in 1840, it was the starting point of Beatrix Potter’s illustrious love affair with the Lake District. Potter’s family vacationed there in the summer of 1882, well before the castle was used as a training college for Merchant Navy radio officers and eventually handed over to the National Trust, which had plans to turn the castle into a hotel. Popular demand led the organization to rethink its decision and ultimately decide to open the grandiose castle to the public. Tourists have been flocking to the area ever since. The castle is completely empty inside — and therefore very kid-friendly — and offers several dressing-up areas and over 50 activities. The castle is open daily from 10 a.m. to 5 p.m. from mid-March to October and from 10 a.m. to 4 p.m. Fridays, Saturdays and Sundays from November to mid-December. The castle is closed to visitors between mid-December and mid-March, but its grounds are open from dawn until dusk year-round. Free guided visits of the property are available. Admission costs £7.20 for adults, £3.60 for kids and £18 per family. Wray Castle can be reached from Liverpool and Manchester in two hours via the M6, the A591 and the B5286; however, due to its popularity, the castle’s parking lot tends to be full by as early as 11 a.m. Additionally, there are regular boats direct from Ambleside and a bus service running from Ferry Nab via Hill Top and Hawkshead.